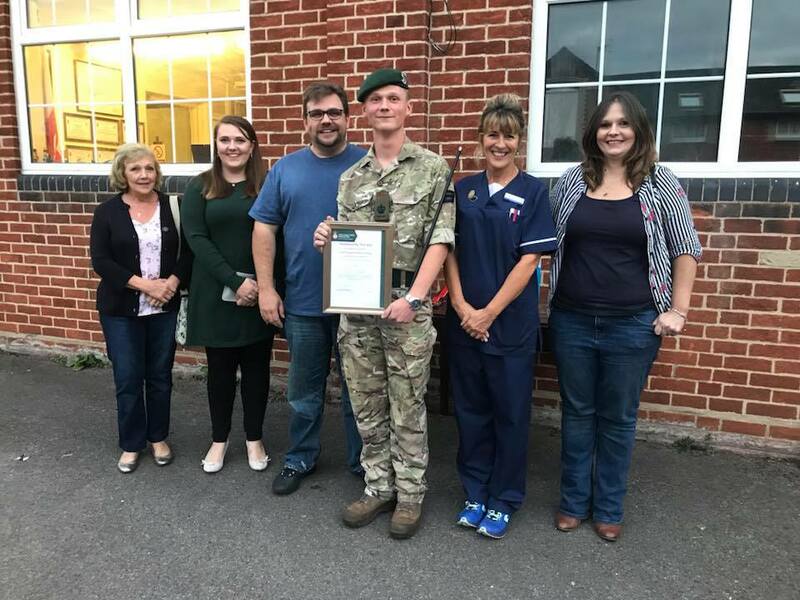 Company Sergeant Major Strong the most senior Army Cadet at Henley was presented a Praiseworthy First Aid Certificate on Wednesday 5th September. The Certificate was awarded to recognise his actions in helping his father, Robert Strong, after a serious accident which resulted in a serious foot injury and a number of nights in hospital. Pictured above: Matthews Family, CSM Matthew Strong, Angie Porter Clinical Lead Henley Townalnds Hospital. The Army Cadet Force is currently actively accepting new cadets – if you are 12 years old and have just started in year 8 then come on down to Army Cadets. The Army Cadet Force is a national youth organisation sponsored and supported by the Ministry of Defence for 12 to 18 year olds. Army Cadets provides a challenging and varied syllabus based on military themes. Henley Army Cadet Force parade every Wednesday from 1900 to 2130 at The Drill Hall on Friday Street. We are currently looking for new Cadets and Adult Volunteers.